Festivals | 50 Westerns From The 50s. 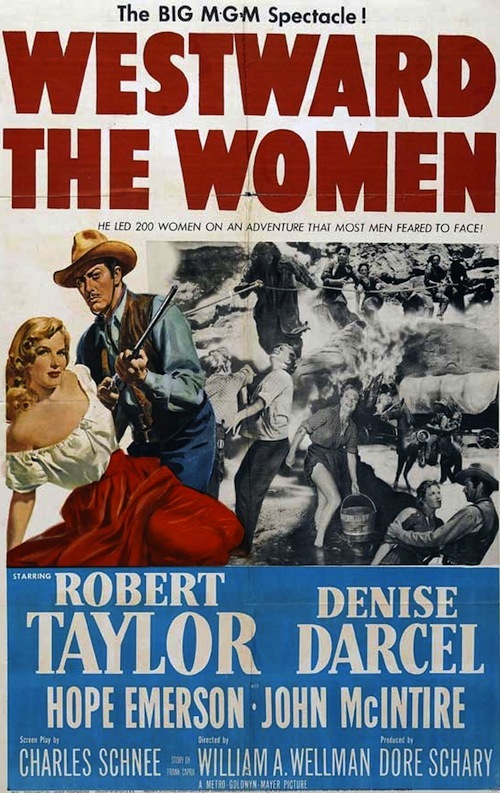 Screening: Westward The Women (1951) At NC State. On the third Thursday of most months, The Western Film Preservation Society has been running B Westerns at NC State’s McKimmon Center, here in Raleigh, since 1981. This week’s second feature (Thursday the 20th) is a bit of a departure: William Wellman’s Westward The Women (1951). It’s one of the best Westerns of the 50s. The other film is In Early Arizona (1938) starring Bill Elliott, Dorothy Gulliver, Harry Woods and Jack Ingram — and directed by Joseph Levering. (It’s a bit of a stretch, but I guess that makes this a Wild Bill Wednesday post.) The meetings get going at 6:45. 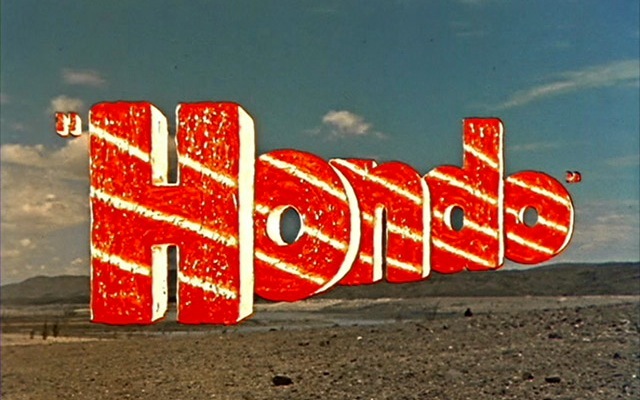 Screening: Hondo (1953) in 3-D! Hondo in 3-D June 21, 2012, 6:00 P.M.
Info and reservations here. Sure hope someone from this blog gets to go to this!